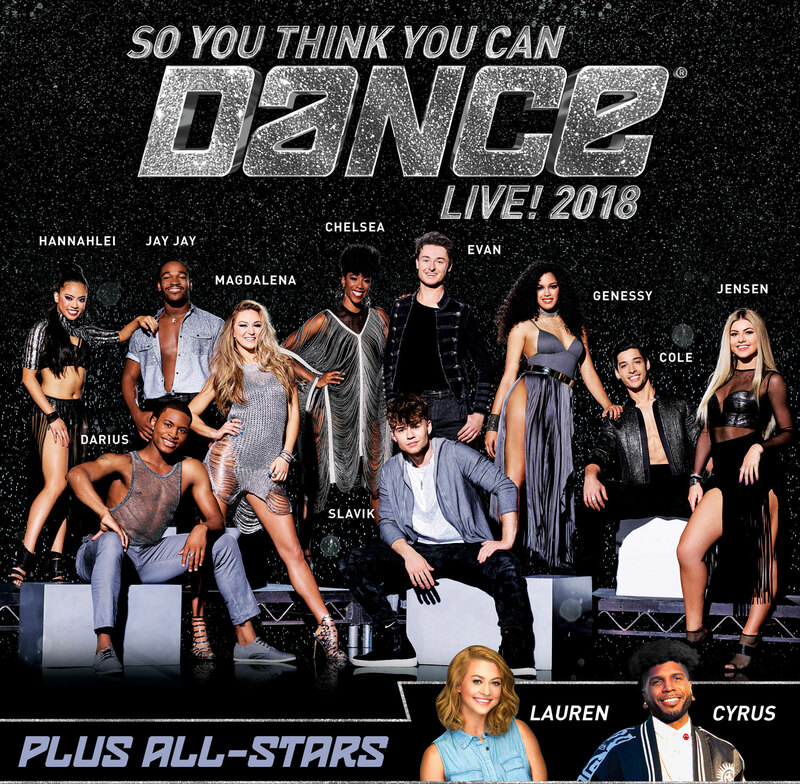 SO YOU THINK YOU CAN DANCE, the 15-time Emmy® Award-winning show that sparked America’s fascination with dance, returns to the road this fall with the installment of its blockbuster annual tour, SO YOU THINK YOU CAN DANCE LIVE! 2018. Fans can witness the hottest show-stopping routines from Season 15 as well as original pieces choreographed specifically for SO YOU THINK YOU CAN DANCE LIVE! 2018. The tour promises to be an unforgettable night of dance by some of the world’s most talented performers up-close-and-personal, boldly transporting the small screen experience, enjoyed by millions, to the stage. © 2019 So You Think You Can Dance: Live! All Rights Reserved.